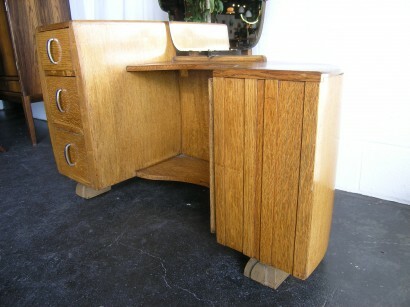 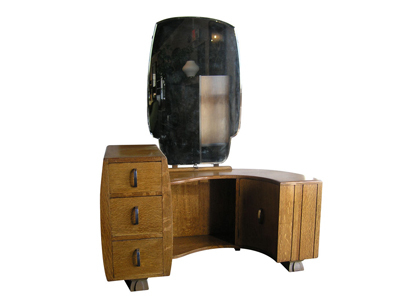 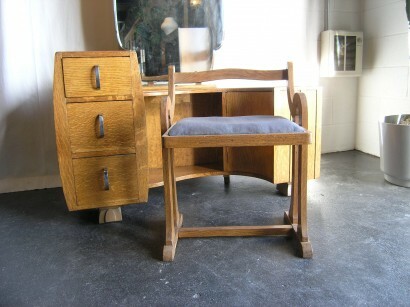 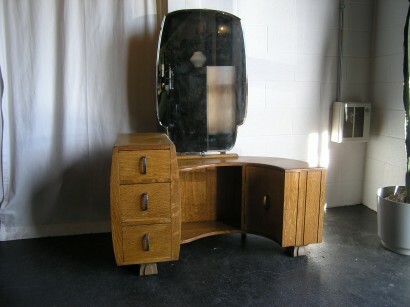 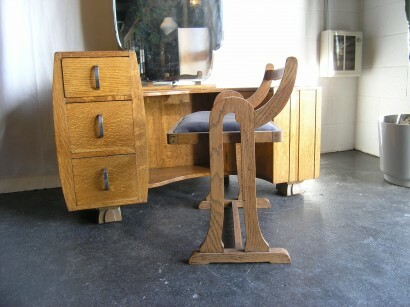 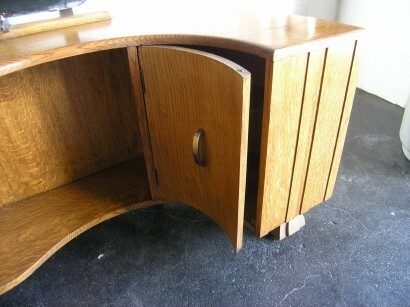 This darling vanity has a playful curved shape and classically art deco feet. 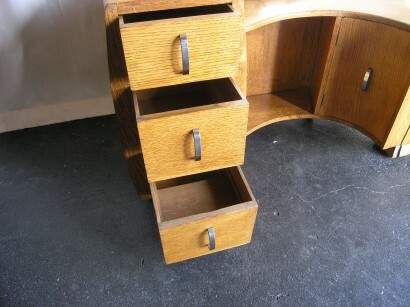 Three large drawers on the left and a cabinet on the right provide plenty of storage. 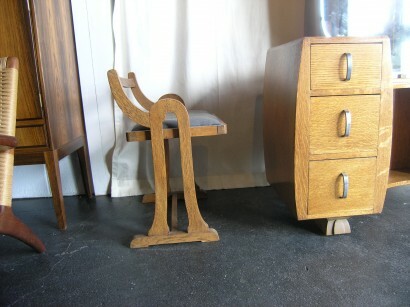 The matching chair features a unique silhouette and has the original textile.